Curious how you can redesign your incentive program? I’ve provided a few suggestions below to take into consideration. Are there any items that you audit or inspection every month? Don’t reinvent the wheel. If you are already checking items such as fire extinguishers on a monthly basis, start with those. Audit your audits to see if they are being done and track the successes and the failures. 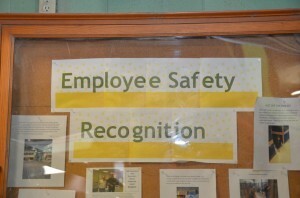 Do you conduct safety training and with a sign off sheet? You can start tracking employees’ attendance. Employees who attend all the trainings qualify for the incentive. Who conducts your safety training? Do you expect that your jobsites or plants maintain good housekeeping? Base your incentive on meeting housekeeping expectation. You will need to be very clear about what “meets” expectations and what does not. I recommend taking a photo of good housekeeping and posting it on a bulletin board so everyone know what meets standards. Since you can’t reward someone who doesn’t have any injury, spend time observing employees and rewarding those who work safely. For example, if your machine operators are getting foreign bodies in their eyes and you determined that safety glasses are not worn with consistency, use that as your incentive base. Employee wearing safety glasses get rewarded. Those not wearing safety glasses get disciplined. You can combine elements of my examples and award points and then award an incentive after employees earn enough points if providing on the spot rewards doesn’t fit in your culture. Unless you are bound by union contract terms, how you design your incentive program is limitless. You should make the change to your incentive program today. If you are bound by a contract, make sure you bring this issue to the table as soon as possible. Coming up with an incentive program just requires a little creativity. Do you have any other interesting ways of awarding your incentive program?